We would like to take a moment to thank all our MDG families who came to support our Junior Dance Team fundraiser during February Vacation! It was so nice to have so many smiling MDG students, both dancers and gymnasts, sharing laughs together! Our Junior Team is beyond grateful and thanks everyone who helped makes this event such a success. 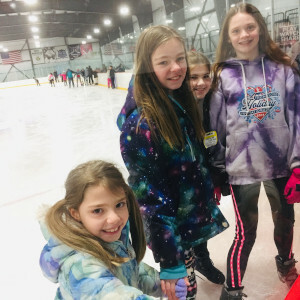 It was so much fun to hit the ice together and we cannot wait to enjoy more fun events in the future! Thank you to all! 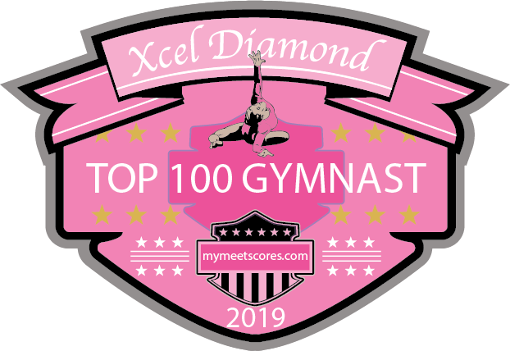 for making America’s Top 100 Gymnast for Excel Diamond with her vault score of 9.35! We are excited that our cartwheel a thon was a huge success! 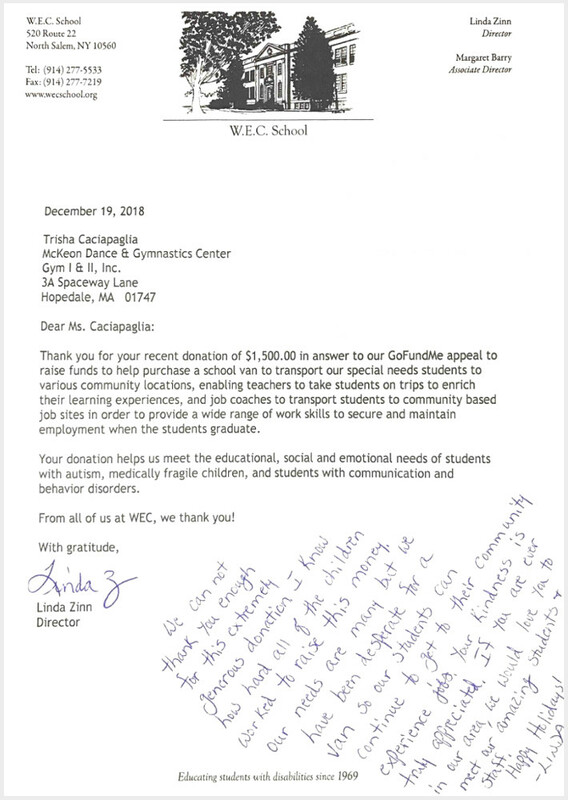 We were able to donate $1500 towards the W.E.C towards to purchase a school van. Great News - We are excited to announce that we are starting our second Ninja Fit Program beginning January 9th. It’s a great way to learn fun ninja skills like tumbling, balance, coordination, and problem solving skills It will run as a 10 week sessions from January 9th through March 20th on Wednesdays from 4-5pm. Ages from 5-9 yrs old. Warm-ups are first for all groups. Our warm-up consists of warmup exercises, conditioning exercises and movements that teach the basics of obstacle training. Children are then grouped by age and ability. 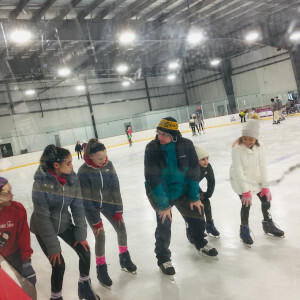 Four obstacles are taught each week with a different lesson plan every week culminating in a final week obstacle course fun run during a 10 week class semester. 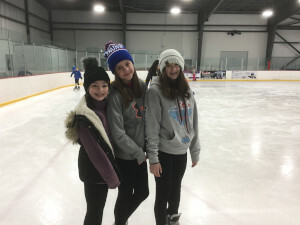 The students, staff and families of the McKeon Dance Center came together on December 16th and put on their 2nd Winter Wonderland Charity Show! The show was amazing and a wonderful way for us to enjoy the start of the Christmas season. The dancers performed routines in all genres of dance to holiday themed music. We even had a special visit from Santa Claus and Twinkletoes the Elf!! It was quite a show and a great time was had by all!! We are pleased to have been able to donate the proceeds of the show, raffles and concession to the Seven Hills Pediatric Center. Seven Hills Pediatric Center is a 12-bed state-of-the-art medically complex needs home in Hopedale. The home provides medical treatment and care, as well as rehabilitation services that are flexible, intensive, family centered, individualized and designed to meet the unique needs of each child. In addition to the charity show, the studio sponsored a wish tree for the residents at Seven Hills. It was truly heartwarming to see all the McKeon families eager to choose a child's wish from the tree and fulfill it. All the gifts were wrapped by parent volunteers and delivered to the home before Christmas. 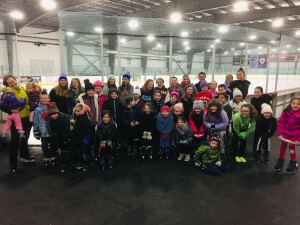 "The Christmas wishes of 12 very special children living at Seven Hills Pediatric Center at Hopedale were granted this holiday season thanks to the overwhelming kindness and generosity of McKeon Dance & Gymnastics Center. 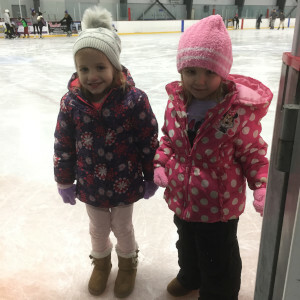 In keeping with their annual holiday tradition of giving back to the local community, the Dance and Gymnastics center, also located in Hopedale, chose the Pediatric Center as the recipient of the proceeds from their Winter Recital. Following a totally successful and sold out performance at Northbridge High Auditorium, they made a giving tree at the Studio and compiled a wish list for each child so parents could buy individual gifts. On the Friday before Christmas, the owner of the studio and a handful of volunteers, packed our front hallway with gifts! Each gift was beautifully wrapped and clearly labeled. The amount of gifts bestowed was totally amazing and every part of the children’s wish lists had been purchased—right down to the hair bows and tube socks! The community at McKeon also purchased needed items for the home, including new silverware, pots and pans, crafts, flat-screen tvs, and sensory toys from specialty catalogs. Thank you to everyone involved from McKeon Dance & Gymnastics Center for brightening the lives of our beautiful children! I was at the center today and was blessed to witness such a Christmas miracle. Gift after gift carried in by smiling volunteers! We are so grateful for the hard work of the dancers, who I’m sure put on a fabulous sold out show! We are thankful for the studio, and the owner, who picked our home to donate to. We appreciate the extra gifts purchased for our kids through the studios Giving Tree. And a huge thank you to the elves I see in the pictures that wrapped each gift so beautifully. The children will surely have a memorable Christmas thanks to your generosity! The world needs more McKeon Dance Centers!" Urban Generation Come to McKeons!!! and the Urban Generation Dancers! The weekend started Friday night with auditions for his second video entitled "The Takeover". Kayla Morrison, Laina Cleaves, Kaydence Foster, Kelsie McNeil and Kennedy McCooey! On Saturday, many dancers from McKeons and the surrounding area took a master class in hip hop with Zoey and his dancers. A photo shoot for the video followed along with choreography and shooting the video throughout the studio! It was and exciting weekend for all and we are honored to have been given the opportunity to put on such a wonderful event! to come and visit the happy and hardworking students at McKeons! They were very excited to see you and listen to your story about dance! In September 2017, Laina Cleaves, a member of our very talented Senior Competition Team, attended a master class hosted at our studio with Kyle Ponte. After working with her in class, Kyle offered Laina the chance to work with him on a very special project, a breakout video for U.K.'s singer/songwriter Reigns! 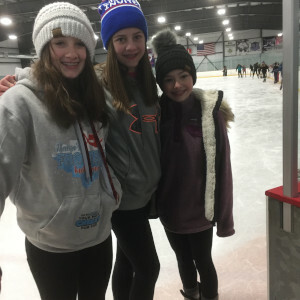 Laina had a great experience working with Kyle and her peers from other New England studios, this opportunity gave her the chance to see firsthand what it was like to work in the dance industry. The video is entitled "Ashes" and is the first of two Laina will be doing. We look forward to following Hannah as her biggest supporters on her newest journey in the dance world! MCKEON'S PERFORMS AT THE RED SOX! FIRST GYMNASTICS SCHOOL TO EVER PERFORM AT FENWAY! On September 6th, 2017 54 McKeon dancers and gymnasts boarded a bus at the studio and headed into Boston for a very exciting evening! When we arrived at Fenway, we were greeted by Gennifer our coordinator for this event. She escorted us into the park where we were to perform. Everyone was filled with excitement! At 5:45pm we started our show. As the dancers and gymnasts perform their routines they had been working on all summer, the crowds flocked in to watch. There were huge cheers all around for all performers! It was such a great experience and a phenomenal evening of dance, gymnastics and team bonding! on being selected to be a 2017 model for the UDMA Costume Show representing Glamour Costumes! Kaydence will be a live model at the annual United Dance Merchants Of America costume show in Worcester, MA in October. She was chosen out of hundreds of photo submissions! We are so proud of Kaydence and can't wait to see her in action at the show! 2016 - On November 12 & 13th the McKeon National Dance Team attended the East Coast Edge Dance Convention. The weekend started on Saturday with a Performance Showcase followed by a full day Sunday of Master Classes all the dancers attended, being taught by teachers from all over the country! Congratulations girls on your scholarships and raffle winnings!!!!! Brooke Hill, Brianna Leung, Laina Cleaves, Kaydence Foster and Leticia DaSilva - scholarships to East Coast Edge!!! Kelsie McNeil - scholarship to MOVE: The Intensive!!!!! Emma Shields - won the raffle for a new pair of SoDanca's!!! A few of our dancers spent the weekend of December 16-18th at the NYCDA Dance Convention! They had a great time learning from top choreographers and meeting dancers from all over New England! What an AMAZING weekend of dance!!! Thank you New York City Dance Alliance!!! Congratulations to Hannah Winship - Regional Hip Hop Scholarship Winner and Outstanding Dancer Nationals Scholarship!!! Also to Thiago Pacheco - Outstanding Dancer Nationals Scholarship!!! So proud of our team!!! Laina Cleaves and Hannah Winship attended Radix this past weekend in Boston!! Laina won the Hip Hop Scholarship and Hannah competed her solo, scoring 4th high overall and was chosen as a Core Performance Winner!!!!! Way to go girls!!!!!! Congratulations to all of our dancers that spent the weekend of January 20-22 dancing at the ASH Dance Convention! They worked hard and had a great weekend! CONGRATULATIONS to Thiago Pacheco on his solo!! Also, Hannah Winship and Laina Cleaves for their duet!!!!! They received the prestigious Judges Choice Award!!! ASH Summer Nationals in Orlando, FL Scholarship: Laina Cleaves!!!!! Complexions ballet in NYC Scholarship AND Junior ASH Apprentice: Thiago Pacheco!!!!!! 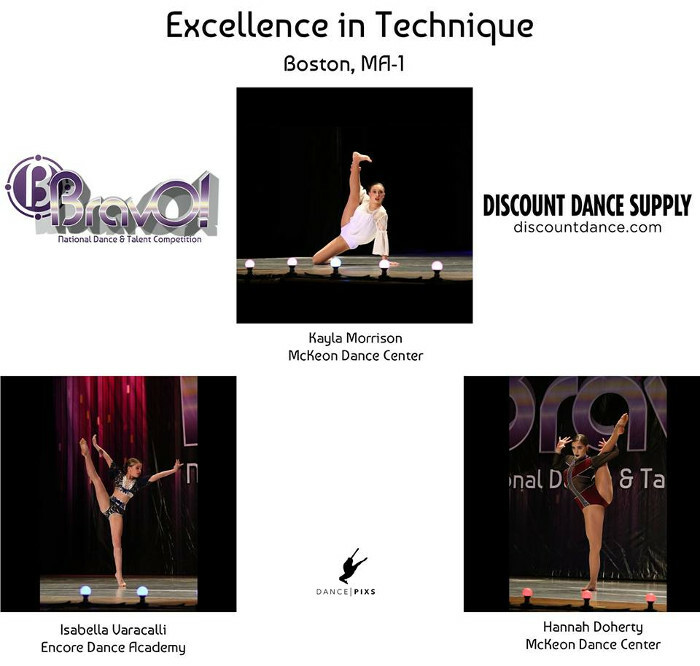 ONGRATULATIONS to Brooke Hill, Thiago Pacheco, Hannah Winship and Hannah Smith on your outstanding performances at the NUVO Competition in Boston! We are so proud of you!!!!! ASH Summer Nationals in Orlando, FL Scholarship: Laina Cleaves!! Complexions ballet in NYC Scholarship AND Junior ASH Apprentice: Thiago Pacheco!! ASH Apprentice Runner Up Scholarships: Julia Hall, Kelsie McNeil & Kayla Morrison!! On November 13th members of our competitive gymnastics team had the privilege to attend the Kellogg's Tour Of Champions! The show featured the 2016 Final Five, Simone Biles, Gabby Douglas, Aly Raisman, Laurie Hernandez and Madison Kocian as well as many other olympic champions past and present. Two of our gymnasts, Mackenzie Pouliot and Rylie Beland were chosen to attend a special "Chalk Talk" presentation with the professional gymnasts and perform in the opening routine of the show! It was quite an exciting day for all and we are so happy we were able to offer this opportunity to our gymnasts! On October 26 Hannah Winship traveled to Orlando, FL for her first weekend as an ASH Assistant. She attended rehearsals, dinners and master classes with other dancers chosen for the assistant program. She performed in the opening and closing number of the convention and performed her solo in their competition. Hannah's favorite part of the weekend, aside from dancing, was meeting and getting to know more of the faculty and assistants for ASH. She was also thrilled to be reunited with friends she made when she attended their national competition in June. Her next journey with ASH will take her to Tysons Corner, VA. We are so proud of Hannah and the amazing future she has ahead of her!!! Laina Cleaves - Ballet Scholarship!! Julia Hall & Hannah Smith - Tap Scholarships!! Hannah Winship & Thiago Pacheco - BreakOut Artists at NUVO Convention Boston!! CONGRATULATIONS! We are proud to announce that Laina Cleaves, Brooke Hill, Hannah Winship and Thiago Pacheco have been chosen by the Revel Dance Convention to be Pro Revelers for the upcoming 2016-2017 season! They will be assisting master classes instructed by professional artists from all over the country at the Dance Convention Revelation. We are so proud of your hard work and determination! Great work everyone! Hannah Winship - Hannah recently spent the week in Orlando, FL attending the ASH (Artist Simply Human) National Convention/Competition. She spent her time taking master classes in all genres of dance, auditioning and competing. After performing her contemporary solo “Stalker” choreographed by Eleanor, she was awarded 3rd place out of 168 solos from across the country. She then went on to be the sole winner of a $40,000 scholarship to The College and Conservatory Of The Performing Arts in either Las Angeles, CA or New York. She was also chosen as one of the few ASH Assistants and will spend the next year traveling the United States alongside famous choreographers such as Tokyo, Rudy Abreu, DJ Smart and JoJo Gomez where she will learn, teach and help to aspire young dancers like herself. 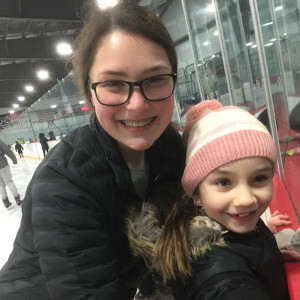 Hannah is a student at the McKeon Dance & Gymnastics Center where she will continue to train when she is not traveling. She has won numerous regional and national dance titles throughout her 11 years of dancing. An honor student, Hannah will be entering her freshman year at Milford High School. She is the daughter of Mark and Penny Winship of Milford. A Heartfelt Thank You To All!! The McKeon Dance & Gymnastics Center proudly hosted 2 events to benefit the Lustgarten Foundation. The Lustgarten Foundation was founded in 1999, it is the largest private foundation dedicated solely to funding Pancreatic Cancer Research. The McKeon Dance & Gymnastics Center proudly hosted 2 events to benefit the Lustgarten Foundation. The Lustgarten Foundation is America's largest private foundation dedicated solely to funding pancreatic cancer. Founded in 1998 the foundation provides critical support in the search for better diagnostics and treatment of pancreatic cancer and to this date has committed more than $110 million dollars to research worldwide. 100% of the proceeds from each event was donated to the Lusgarten Foundation. The McKeon dance program kicked off the holiday season in December with their "Winter Wonderland Show". Our competitive dance team along with all the recreational dance students performed various dances to holiday themed music. It was such fun to see our senior students dance alongside our adorable 3 year olds! 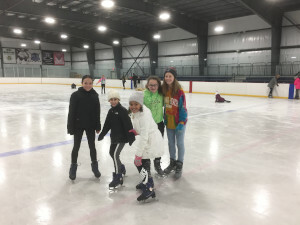 The Winter Wonderland Show was dedicated in memory of Dorothea McKeon, founder of McKeon Dance & Gymnastics Center and her Sister In Law Janet McNeil. We are very proud of all our students for their selfless effort to raise money for such a worthy cause. Hannah attended the ASH Dance Convention this past weekend where she continuously caught the eye of the judges and received the Faculty Pick Scholarship, the Complexions Contemporary Ballet Intensive Scholarship, ASH Apprentice Scholarship and was selected as an Apprentice Runner Up! We are so proud of Hannah and all her achievements! Thank you to the Turn It Up Dance Competition for having our 2015 Regional Title Winners, Hannah Winship and Alaina Gobbi at their annual photo shoot! The girls had a great day modeling the TIU clothing line and met new friends including Valerie from the hit TV show "So You Think You Can Dance"! We are very pleased to announce that our own Colleen Stackpole has been selected as an Outstanding Athlete of AAU! 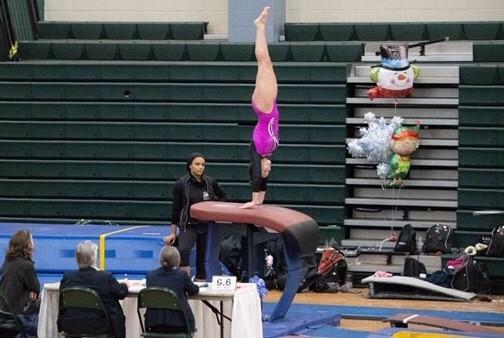 Colleen was chosen at the Junior Olympics in Virginia Beach in August where she captured 1st Place in the Sr Division for Xcel Bronze! Way to go Colleen, keep up the hard work! Miss Courtney and Miss Casey took our students Emma Cummings and Thiago Pacheco and headed to New Jersey at the end of August and became certified Acrobatic Arts instructors! They attended classes for 2 days with the kids and learned great skills to bring back to the studio! Miss Danielle and Miss Casey attended the Dance Teachers Web Conference At Foxwoods Resort in August where they took classes in tap, contemporary, lyrical and attended teacher seminars tool! Earlier this summer, Brianna Leung, Hayley Caliri, Hannah Smith, Julia Hall, Hannah Winship and Brooke Hill went to the Generation IV Dance Intensive at Smith College. It was a week long overnight program where they participated in master classes every day with teachers such as Teddy Forance, Nick Anthony and Sandi Duncan just to name a few! They met Kalani from the Dance Moms television show and also performed in a show at the Academy of Music Theatre at the end of the week! Miss Casey and Miss Brea attended the Pulse Convention in New York in July where they took classes in Hip Hop, Contemporary and Lyrical with great teachers such as Brian Friedman, Tricia Miranda and Brooke Lipton, they also went over to Broadway Dance Center and took classes there as well! We are SO PROUD of our very own Kayla Brunson!!!!!!! She made the NEW ENGLAND PATRIOTS CHEERLEADING TEAM! Way to go Kayla!!!!!! Hannah Winship recently attended the Pulse Dance Convention/Competition in Boston, MA. She had a great weekend and won a two part scholarship!!! 1- to a PULSE convention next season, and 2 - invitation to their Summer Intensive!!!!! Congratulations Hannah!! A big congratulations to Jordan Remillard! She attended the ASH Dance Convention/Competition in New Brunswick, NJ and was awarded "The Technical Excellence" Award for her acrobatic solo. Great job Jordan! Congratulations to Brooke Hill, Laina Cleaves, Hannah Winship and Julia Hall for being called up to demonstrate with the master teachers in the tap, contemporary and lyrical classes at the Ambition Dance Convention!! We are so proud of them! In addition to that honor, Brooke Hill was awarded a paid solo entry to their competition, Laina Cleaves received a scholarship to their 2015 convention and Hannah Winship was chosen by all 5 judges to return next year as an apprentice teacher! Great job girls, keep up the good work! It was an exciting day at the Turn It Up Dance Convention in Mystic, CT!! Hayley Caliri, Thiago Pacheco, Ashley Round and Meghan Smith were the proud recipients of full scholarship awards for the TIU 2015 convention! What a great way to kick off our competitive season! Eight McKeon students recently participated in the Turn It Up Dance Convention in Mystic, CT as assistant teachers. Charlotte Beaudrot, Julia Hall, Cassidy Baratta, Brooke Hill, Laina Cleaves, Hannah Winship, Hannah Smith and Katie Baratta were chosen out of hundreds of dancers at the TIU National Dance Competition this summer for this fantastic opportunity. They assisted with various levels and genres of dance and were also able to take some classes as well. Job well done girls! This past summer at the Turn It Up Dance National Championships, Hannah Winship was chosen to participate in the Master Teacher Assistant Program at their Springfield, MA convention in October! Hannah did a wonderful job demonstrating for her peers in various classes as well as taking a few classes herself! Great job Hannah, we are very proud of you! Hannah Smith, a 10 year student of McKeon Dance Center has been chosen by the International Dance Organization to represent the IDO at the World Tap Dance Championships! The competition will be held in Riesa, Germany in December and will include dancers from 35 countries and five continents. 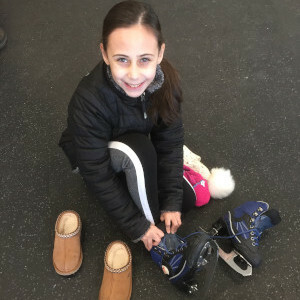 To be selected to compete at the IDO World Tap Championships, Hannah had to first qualify at a regional event where she won a platinum medal at the Headliners Dance Competition. She then had to submit a video dance to audition with IDO, and was then selected from thousands of other audition and video performances. Once in Germany, Hannah will have to advance through four rounds of competition in order to bring home the gold. She is competing in the junior soloist division with a tap style performance to the music entitled "Flight Of The Bumblebee"
Hannah is proud to represent the US Tap Team, and we are very excited for Hannah and wish her the best of luck! !